Recent controversy about fracking-induced earthquakes in NE British Columbia illustrates how North American environmental NGOs use junk science and hysteria to distort the public debate over energy infrastructure projects. The discussion was kicked off by an Aug. 17 4.6 magnitude earthquake north of Fort Nelson, BC. as reported by the Canadian Press and Beacon Energy News. It includes a 4.4 magnitude tremor – which can be felt on surface but is not strong enough to damage building – in August of 2014. 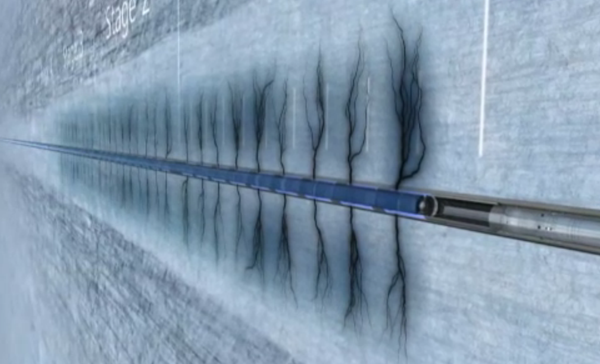 The BC Oil and Gas Commission analyzed data from its seismic arrays and local fracking operations, and confirmed that Progress Energy induced the seismic event, among the largest caused by the industry in Canada. The BC Oil and Gas Commission is investigating this year’s big tremor, but has not yet established a cause because it takes several months to collect and analyze the data. Nevertheless, Commission protocols require the company to stop operations while it prepares a mitigation plan, which can include reducing pumping pressures. Regulators in other energy-producing jurisdictions, such as Alberta and Texas, use the same general strategy of measuring, analyzing, and mitigating. This is the right approach. It balances public safety and environmental protection with the economic benefits of hydraulic fracturing. But the eco-activists are very good at dredging up retired scientists and sketchy consultants to build their specious case. Right on cue, extreme claims were made by David Hughes, a geoscientist who worked for the Geological Survey of Canada for 32 years and recently analyzed BC’s LNG plans for the Canadian Centre for Policy Alternatives, a left-leaning think tank that strenuously opposes fracking and has supported anti-fracking measures across Eastern Canada. In the CP story, John Clague, a Simon Fraser University earthquake expert, stirred the pot by claiming that 5.0 or 6.0 magnitude quakes have been linked to fracking in the U.S. This is a common strategy by ENGOs: Take a relatively minor issue, inject some spurious science, and blow it up to a crisis of Biblical proportions that scares the pants off the public and justifies a demand for the end of fracking/pipelines/oil sands production etc. The facts are entirely different. Industry is not “fragmenting” the “whole of northeastern BC” nor is there another way to extract gas in large volumes within the province. But, for a British Columbia public – especially in the mostly progressive Metro Vancouver where environmentalism is strong – the seed has been planted. The strategy obviously works because BC public trust in the energy industry and its projects has been virtually destroyed. A 2014 public opinion poll found that 70 per cent of British Columbians trust ENGO and First Nations activists for information about energy issues and only 30 per cent trusted industry. The Northern Gateway pipeline was approved by the National Energy Board but the project languishes while proponent Enbridge tries to lure First Nations onside. And the next pipeline project out of the gate, Kinder Morgan’s Trans Mountain Expansion, is mired in controversy led by ENGOs, Metro Vancouver municipalities, and First Nations. Apparently, purposefully distorting the science around energy activity really does have consequences. In Part 2 of this column, I’ll examine why the claims made by Hughes and Clague are not accurate and why Madden’s clarion call for an end to fracking should be ignored.